If style is your thing, Payless Rugs makes it easy to shop by style. 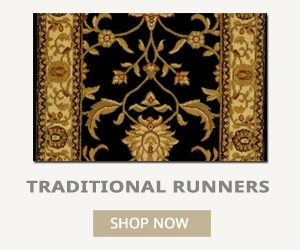 You can shop stair and hall runners by style at PaylessRugs.com to zero in on exactly the style you're looking for to complement your home's design scheme. At Payless Rugs, you can find your preferred stair and hallway carpet runners to reflect your personal style, whether mild, wild or something in between. In Search Of Modern Style For Your Stairs Or Hall? Traditional is Always In Style! 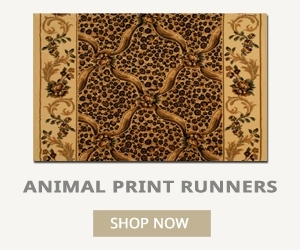 We break our stair and hallway runners down by five design styles: custom animal print runners; custom contemporary runners; custom floral runners; custom traditional runners; and custom solid colors. Taken together, these five categories give you scores of style choices to meet any design need. Inspired by nature, our animal print runners reflect everything from ferocious tigers, fleet cheetahs and swift zebras to soft does. 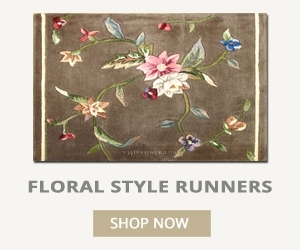 Our modern stair and hall runners will please those looking for a custom contemporary look, with bold designs and colors, while our collection of custom floral runners incorporates the beauty of blooming flower gardens. 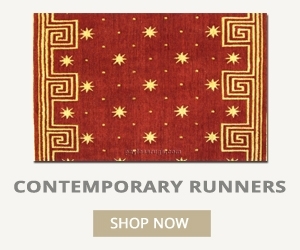 If you have more conservative tastes or need runners for a home or office that requires a quieter demeanor, consider our collection of traditional carpet runners, which showcases quiet but fascinating patterns that have stood the test of time. 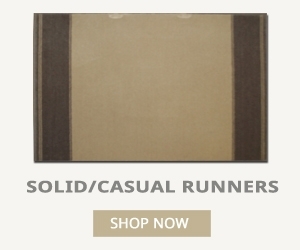 Our custom solid runners go well with practically and décor and are available with or without accents.